Red Hot Chili Peppers, back when I was in high school and college, were pretty anti-establishment. They started out in 1983 and did mainly what I thought was hard-core funk mixed with punk. They wore only socks when they played live, they did gallons of drugs and were pretty promiscuous. And now they’re doing ads for NASCAR. NEW YORK — Nascar has actually found a way to turn up the volume on its marketing: by adding the Red Hot Chili Peppers. The spot will break on Saturday, July 1, on Fox during its coverage of the Pepsi 400 at the Daytona, Fla., International Speedway. Spend was not disclosed. What in the name of Dale Earnhardt is going on here? These guys were so cool and hip, I had friends travel to OTHER COUNTRIES to see them play. Now they’re NASCAR fans, or are they just getting old and worrying about where the money’s going to come from? This is just so lame. Another example of your idols (not mine, but other people think think they are) being less than you thought they were. 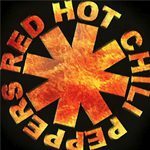 Share the post "The Red Hot Chili Peppers and NASCAR"
Previous Post: Can a Film That Opens on a Tuesday Win the Weekend?